Ethereum Classic is the original blockchain. It’s the 2017 hard fork Ethereum that is the pretender. So ETC fans like to point out at every available opportunity. That Vitalik Buterin’s Ethereum is the de facto second-largest cryptocurrency by market cap must really stick in their throats. But Ethereum Classic is showing a remarkable price rebound lately, ticking up a staggering 35% as of Sunday 7 April. Weekend trading is normally slow, so it was especially unusual to see such large volumes pushed through. By Monday morning ETC was trading at a two-dollar fall from its $10 high. Even the evangelists in Reddit’s r/EthereumClassic subreddit suggested a pump and dump might be at play. ETC prices shot up from $6.66 at 4:00am GMT on San Fransisco-based Coinbase to a maximum of $10.01 at 5:30am. That’s a big 2019 high. There has been no obvious fundamental news to underpin such a sharp continued rise in ETC. Analysts suspect there is simple FOMO going on here, backed by the high correlation between market dominator Bitcoin and the rest of the altcoins. “The crypto-winter is over,” he said. But Jehan Chu, Managing Partner at Kenetic hinted there may be more to this story yet. “The recent price surge across a range of left-behind tokens such as Ethereum Classic demonstrates that the smaller crypto markets are still emotionally driven. Volume in particular saw a huge upswing, hitting $800 million across all exchanges tracked by CoinMarketCap. That’s more than double ETC’s early volume of $350 million. There has been a staggered fall since. As of Monday at 4:00am GMT, Ethereum Classic is back around the $7.80 mark. When the bull market suddenly and mysteriously returned on 2 April after months of flat volume and low volatility, it caught most of us by surprise. A 20,000 BTC buy order spread across Kraken, Coinbase and Bitstamp exchanges likely sparked algorithmic trade wars, as BCB Group Oliver von Landsberg-Sadie told Reuters. Some news that might be behind a steep upwards tick is that the network upgrade Atlantis is coming. But that’s not until around mid-September 2019 at current projections. The hard fork proper will hit the Ethereum Classic mainnet at block 8,750,000. That’s after it breaks on the Kotti (block 1,039,000) and Morden (block 4,723,000) testnets in early August 2019. Making ETC easier to run. Adding various precompiled contracts and opcodes should improve the interoperability of ETC with ETH and the testnets for greater adoption. Better for dApps. Changing the receipt status should make it simpler for dApp devs to access whether a contract has succeeded or failed. Changing the difficulty formula. The algorithm will now target constant average block times to make issuing ETC a lot more predictable and much harder to manipulate. Sometimes it does feel like a PhD in Maths would be handy when trying to decipher what blockchain upgrades will actually do. A good, if highly technical, outline is on Medium here, while the full Github repo is here if you want more specifics on the Atlantis hard fork. The rapid price movements of the past few days have left analysts scratching their heads. As a staunch top-20 coin, ETC had been seen as relatively stable. But in January 2019 researchers confirmed a successful 51% attack on the Ethereum Classic blockchain. Gate.io identified the txhashes where hackers were able to roll back transactions and steal around 54,000ETC in total. In a statement, they said: “It happened between 0:40 Jan.7, 2019 and Jan 4:20 Jan.7, 2019 UTC for about 4 hours. “We suggest all platforms to block the transactions from the attacker’s accounts. “Gate.io’s censor successfully blocked attacker’s transactions at the beginning and submitted them to the manual exam. A security fail as large as this exploit should have sent the price plummeting and traders running for the hills. Days later, Gate.io reported that the hack may not have been as catastrophic for Ethereum Classic as first feared. “We were trying to contact the attacker, but we haven’t got any reply until now. 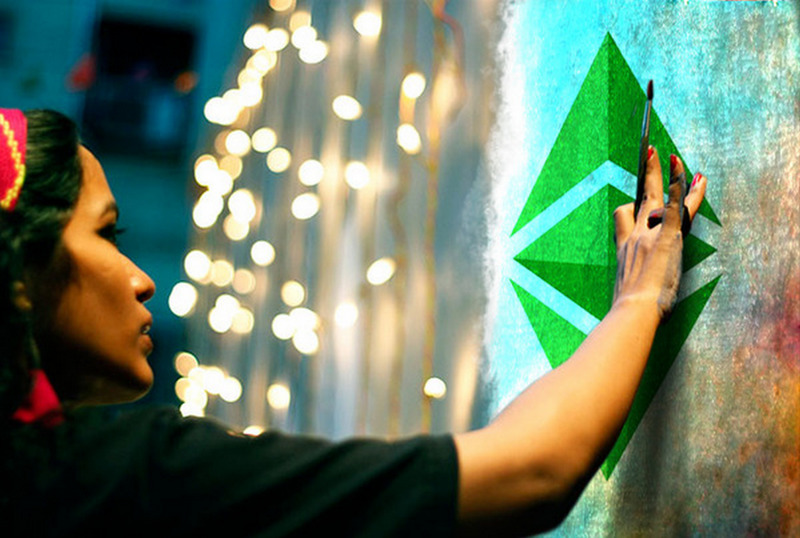 ETC was also one of three cryptocurrencies banned in February from being used in ICOs and as a trading pair by Thailand’s Securities and Exchange Commission. Purists might argue it is no bad thing to be mentioned in such close company with Bitcoin Cash et al. But a trading block is never a good thing, especially with the explosion of the South Asian market and regulators’ desire there to move quickly and decisively to support crypto businesses. After holding in the $7.60 range on Monday morning ETC pushed lower, striking $7.20 on Coinbase by 9:40am GMT.